Even if you’ve lived in the city for decades, there is so much to taste, see and do in Denver. Explore our extensive bucket list of things worth doing — from outdoorsy adventures to exclusive speakeasies, and everything in between. Plus, we’ve included a few options outside of the city limits to help you get the full Colorado experience. How many of these must-do things in Denver have you already done? Tally them up and let us know in the comments below! 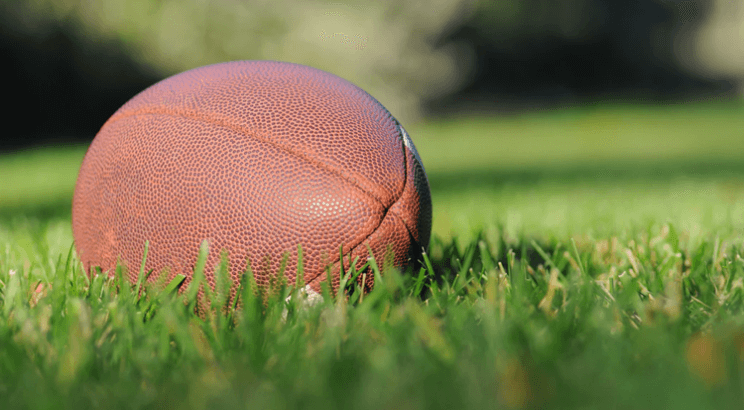 FOOD + DRINK | SPORTS | ART + MUSIC | OUTDOOR RECREATION | GAMES + ENTERTAINMENT | MISC. Sip on a handcrafted cocktail or a glass of wine from new heights at Peaks Lounge, located on the 27th floor of the Hyatt Regency Denver. With views of the city skyline and the Rocky Mountains, it doesn’t get much better than this! Serving up loaded, mission-style burritos, flavorful nachos, and their to-die-for queso, Illegal Pete’s is an iconic Denver must-do, and you have plenty of opportunities to try it. Illegal Pete’s has six locations (and counting) in Denver — from the north side in the Highlands all the way south to The Tech Center. 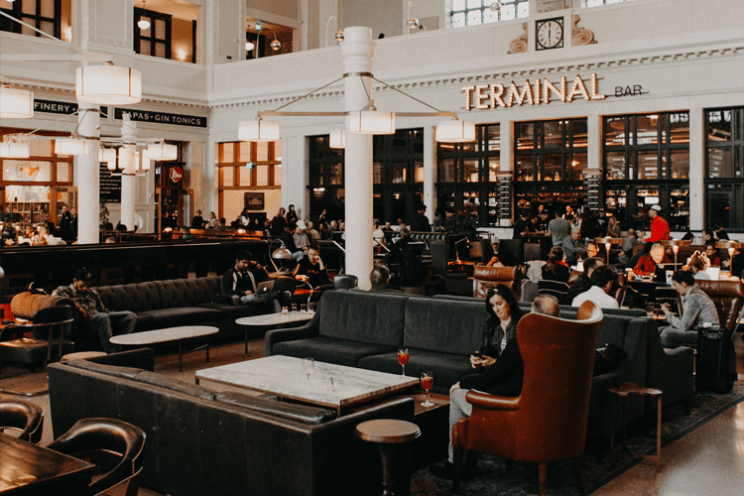 It’s likely you’ve stepped foot in the beautiful Union Station in the heart of downtown. But linger a little longer with a cocktail from the Terminal Bar and a game of shuffleboard. Balistreri Vineyards is a family-owned and -operated winery located in Denver. Their award-winning wines are traditionally handcrafted without the addition of sulfites or other chemicals. Located just 10 minutes from downtown, the tasting room and vineyard are open for tasting, tours and lunch every day between 11 a.m. and 5 p.m.
…Or should we say an eatuary? That’s right — Linger is Denver’s first (and only!) eatuary. This trendy restaurant is housed in the former site of the historic Olinger Mortuary in LoHi. You’ll find several remnants nodding to the original tenant, including the neon Olinger sign (without the O), a former church pew, vintage funeral fans, and more eclectic touches. The rooftop deck is also a must-see! You may have already checked this one off your list and didn’t even know it. That’s because culinary mastermind Frank Bonanno has his hand in a variety of projects across the city. In fact, he is behind ten of Denver’s finest dining and drinking establishments, including Mizuna, Osteria Marco, Luca, Bones, Salt & Grinder, Green Russell, Russell’s Smokehouse, Vesper Lounge, Wednesday’s Pie and French 75. Denver’s roster of breweries is quite overwhelming. So let’s start with an obvious one — the Coor’s Brewery tour in Golden. If you’ve checked that off your list already, consider one of the many brewery tours worth doing in Denver. Be honest. You’ve been waiting for this one the whole time. Visiting Casa Bonita is an all-inclusive experience — from the cliff divers to the exciting stage shows, and the musicians to the arcade games. Oh, and it’s a Mexican restaurant, too! 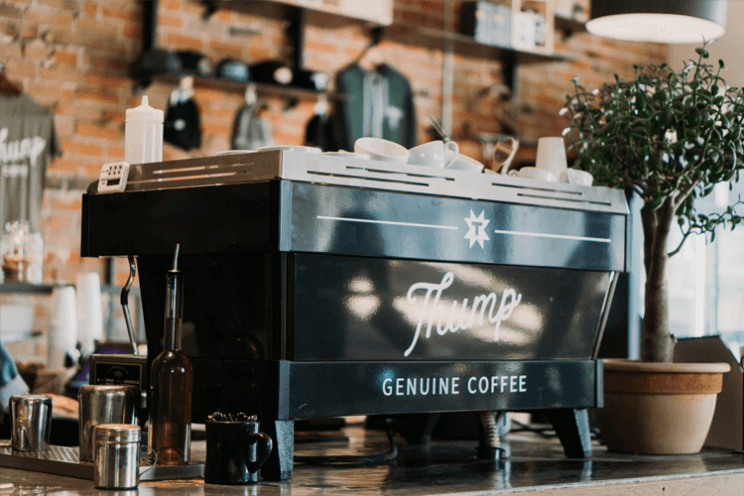 Branch out from your typical coffee shop routine by visiting one of the many incredible third wave shops in our midst. Some of our favorites include Lula Rose General Store, Steam Espresso Bar, Spur, Novo and Thump. Denver’s Downtown Aquarium is not your average aquarium. This unique entertainment and dining complex features a public aquarium with more than a million gallons of underwater exhibits highlighting fascinating ecosystems. Plus, there is a restaurant inside, which means you can dine around a 50,000-gallon centerpiece aquarium, offering floor-to-ceiling views of marine life from all tables. Denver is home to a number of secretive Prohibition-era speakeasies, and you may not even know it. Some of our favorite under-the-radar speakeasies in the city include Green Russell, Williams & Graham, Millers & Rossi, B&GC, and Retrograde. Just take one look at the line weaving up the street from this 28-foot-tall 14,000-pound cream can, and you’ll know you’ve encountered something special — and you have! Little Man Ice Cream has been a favorite for locals and visitors since opening their doors in 2008. Take a bite of their famed Salted Oreo flavor and you’ll see why! Live like royalty by partaking in afternoon tea at the Brown Palace, a luxury hotel in Denver. Complete with herbal teas, scones and finger sandwiches, their elegant tea room offers the opportunity to witness the unique long-standing tradition that is afternoon tea. We get it. Trying out all of the incredible craft breweries in Denver can be an overwhelming experience. Consult the Denver Beer Trail for a guide to the city’s finest microbreweries and try a few new ones! Take your cooking skills to a new level by taking a cooking class at Stir Cooking School, located in the beautiful historic Weir Building in the Highlands. Their classes offer 2–3 hours of hands-on experience, where you’ll work side by side with professional chefs. Stir even has a small bar area with signature cocktails, a great wine list, and local beer to enhance your experience! 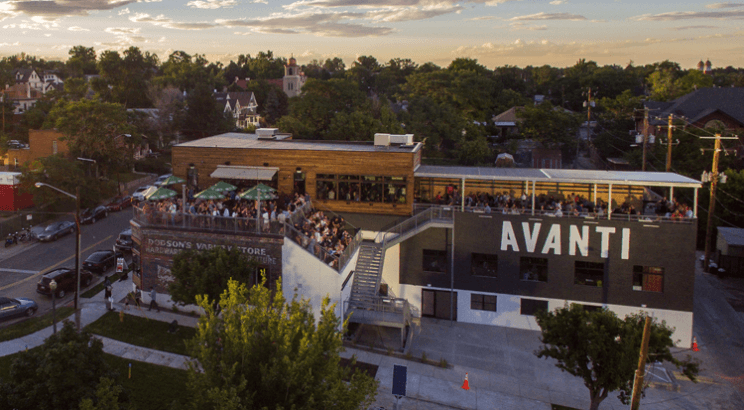 Have a blast with friends, coworkers or visitors coming to town with a Denver Patio Ride, a unique bar on wheels traveling through Denver’s best neighborhoods. This pedal-powered vehicle holds a maximum of 16 riders and can be taken on a pre-designed route or a custom route through LoDo or RiNo! It’s up for debate what Denver restaurant serves the best green chile, an iconic food item the city is known for. Try some of the best green chile plates in the city and decide for yourself! Denver hosts a number of world-renowned beer festivals, the most famous of which is the Great American Beer Festival. Add that three-day festival to your calendar, or try another one — like Beer Festivus, Collaboration Fest, Belgian Brew Fest and more. Not sure what type of food you’re craving? Perfect — go to Avanti Food & Beverage in LoHi. This unique food hall features a full bar, a handful of creative eateries, a rooftop bar and lots of seating. It’s like an elevated food court, with some of the best city views around. Situated on the fifth floor of 2930 Umatilla in LoHi, El Five offers unobstructed city views of the Denver skyline and an unrivaled drink and food menu. The menu is focused on Spanish and Mediterranean small plates served tapas style, designed for sharing. The large open-air patio of El Five sits adjacent to its big sister, Linger! If you don’t know what Rocky Mountain Oysters are…just Google it. Then try them at Buckhorn Exchange, the oldest restaurant in Denver. Beer often takes center stage in Denver, but there’s also a renowned whiskey company in our midst! Take a tour of Stranahan’s Distillery to explore the brew house, bottling room and try some whiskey. If the artsy, outdoorsy, laid-back and quality-focused city of Denver could be a restaurant, it might be a food truck. Track down some of the best food trucks in the city on a warm day! Save a few bucks by seeing the Rockies play in the Rockpile, known for its incredibly low prices — usually between $4-8. While the view might not be as great, you’ll be able to fill up on nachos and beer with all the money you saved on your ticket! Watching the Broncos play on a big screen TV is one thing, but seeing them in person at Mile High Stadium is a whole other experience. Whether you’re there for the Denver Nuggets or the Colorado Avalanche (or a concert! ), Pepsi Center is certainly worth a visit. The street art in our creative city is second to none. See some of the best murals in RiNo, one of Denver’s more artistic neighborhoods with traces of its industrial past. 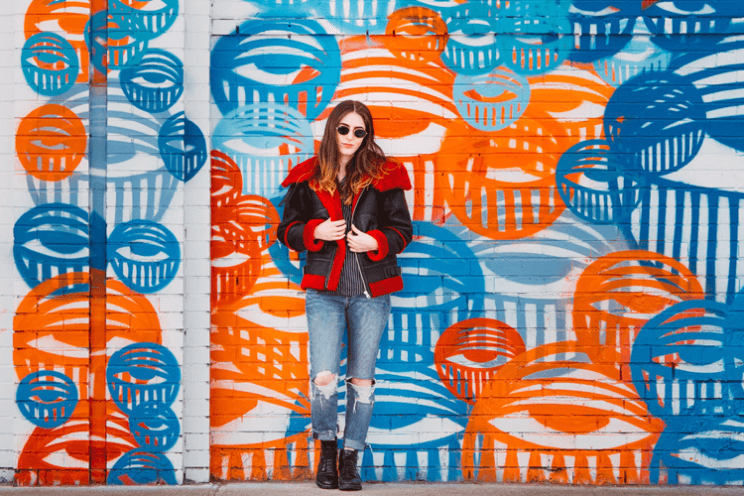 Don’t miss the trippy geometric mural on the east side of Larimer between 25th and 26th Streets, “Larimer Boy and Girl” on 27th and Larimer, and the colorful orbs covering an entire building at 27th and Walnut. Denver Botanic Gardens is an inviting oasis in the heart of the city. In addition to the plentiful plants and flowers all around, the 24-acre gardens offers world-class education, art exhibitions, special events, and plant conservation research programs. Green inside and out, Denver Botanic Gardens is one of top botanical gardens in the United States and a pioneer in water conservation — not to mention, one of our must-visit spots in Denver. Denver is an undeniably artsy city. See the work of talented local artists at one of the city’s many First Friday events — at the Arts District on Santa Fe, the Golden Triangle Creative District, RiNo, and more. 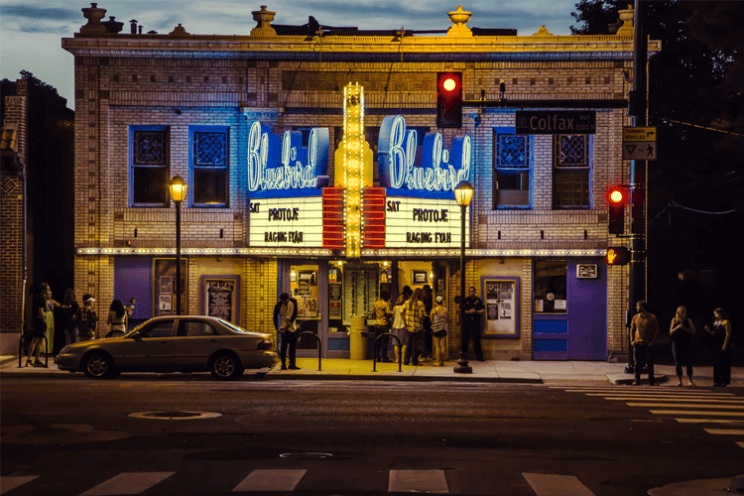 The Bluebird is a quaint, historic theater situated on Colfax near City Park. It was designed and built in 1913–1914 as Thompson Theater and renamed the Bluebird Theater in 1922. The space is currently used as a live music venue, attracting a variety of musical groups and musicians from around the globe. You may have visited the renowned Denver Museum of Nature & Science before. But did you know that there are elves, leprechauns and gnomes hidden throughout the museum? Previously called Denver Comic Con, Denver Pop Culture Con is a three-day convention celebrating all things comic books, tabletop and video games, anime, manga, cosplay, science fiction, movie-related, and more. This exciting event takes place at the Colorado Convention Center each summer! If you haven’t yet seen a show at Red Rocks, start there. This iconic venue should be on everyone’s bucket list, no matter where you live. Another great outdoor music venue is Fiddler’s Green, a huge amphitheater attracting a variety of musicians and bands. If you’re sticking to a strict budget, you can still visit some of the city’s finest attractions for free! Take a look at the many free days in Denver, including free admission to the Denver Art Museum on the first Saturday of each month. Dating back to 1930, the Mayan Theater is a historic movie theater along Broadway. It is one of the country’s few remaining theaters designed in the Art Deco Mayan Revival Style, hence the name. Take a look at upcoming showtimes to catch a movie or documentary at this historic landmark! Serving as one of the country’s most iconic music venues at night, Red Rocks is definitely worth a visit during the day. On a nice day, you’ll see dozens of people running, stretching, and lunging up and down the rows and staircases. The breathtaking views, active people and fresh air provide a motivating environment for a workout. Take in all the sunshine we enjoy in Denver with a leisurely stroll, bike ride or rollerblade trip around Wash Park! In fact, rollerblading may be one of the most efficient ways to explore this 155-acre park with two lakes, two flower gardens, and an abundance of green space and lush trees. Traveling along the Cherry Creek Trail, whether you’re on foot or on two wheels, allows a unique perspective of our city. The 11.2-mile trail starts at Confluence Park and winds south to Cherry Creek Lake/Reservoir, passing by a number of attractions, including Cherry Creek Mall, Denver Country Club, and more. Speaking of long trails, did you know that Colfax Avenue is the longest continuous street in the country? Join the 20,000+ runners participating in the Colfax Marathon each year, opting for the full marathon, half marathon or the urban 10-miler. You can even create a relay team of five runners to participate in one of the largest marathon relays in the country! Golfers will never grow tired of the many golf course options in the Denver area. Three of the most scenic (yet slightly more expensive) courses in the region include The Golf Club at Bear Dance in Larkspur, Arrowhead Golf Club in Littleton, and The Ridge at Castle Pines in Castle Pines. Fossil Trace Golf Club in Golden and Red Hawk Ridge Golf Club in Castle Rock have slightly more affordable green fees, which provide a great value. 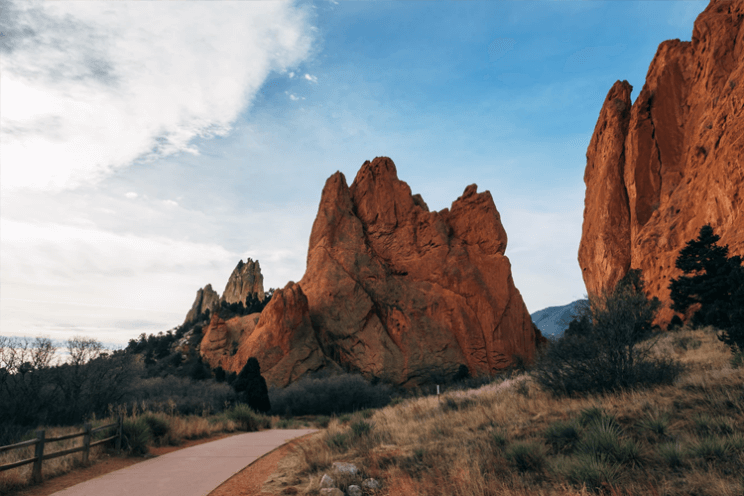 Travel south to Colorado Springs to visit Garden of the Gods, a public park that is free for all to explore. The park is known for its massive 300-foot sandstone rock formations towering overhead, contrasted by bright blue skies and green trees. Set aside an afternoon (or an entire day!) to complete one of the area’s best day hikes. 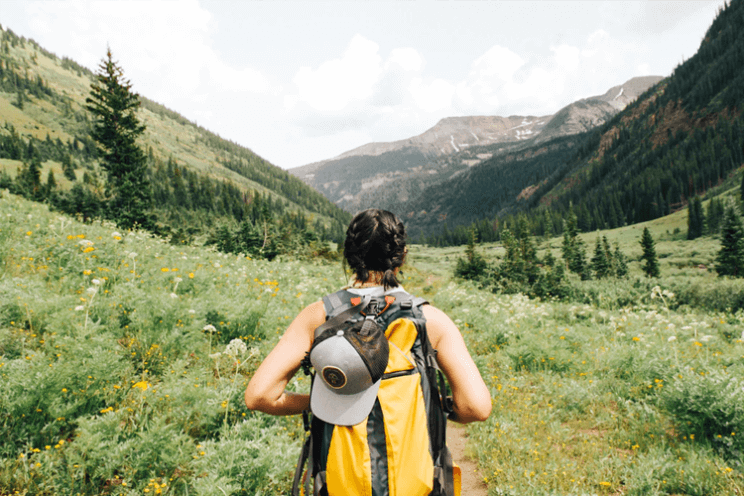 Some of the best nearby day hikes include the Chautauqua and The Mesa Trail in Boulder, the Trading Post Trail, Emerald Lake, and many more. If you consider yourself an experienced hiker, you might consider taking your hike to new heights at the Manitou Incline. This .88-mile trail is known for its intense incline, with an average grade of 24 degrees and a grade as steep as 68 percent in some places. In fact, the incline gains over 2,000 feet of elevation in less than a mile! The Cherry Creek Dog Off Leash Area (DOLA) is a 107-acre fenced area with water access for your pup to splash and swim. Use of this area requires a valid DOLA pass and a valid park pass for all vehicles entering the park; simply purchase passes at the entrance stations when you arrive! In a city known for its high elevation, it’s only right to seek out a nearby alpine lake during the spring and summer. Denver is surrounded by a variety of gorgeous alpine lakes worth taking a photo of — then jumping into. The Rocky Mountain Arsenal National Wildlife Refuge is a massive wildlife refuge near Commerce City totaling nearly 16,000 acres. Formerly housing a US Army chemical weapons manufacturing facility, the area is now home to more than 300 species of wildlife, including raptors, deer, raccoons, coyotes, white pelicans, prairie dogs, bison and more. Travel south towards Pikes Peak to discover this fascinating network of caves, available for exploration in a number of ways. Opt for the guided Discovery Tour, Lantern Tour or a longer Caving 101 tour. Denver is surrounded by a number of relaxing hot springs. Some of the best include Radium Hot Springs, Glenwood Springs Pool, Iron Mountain Hot Springs and Indian Hot Springs. Maybe you’ve already conquered a 14er or two, and you’re looking to check more off your list. Or perhaps you’ve never attempted at 14er! Either way, you can conquer four 14ers in one exhausting and exhilarating day — taking on Mt. Democrat, Mt. Cameron, Mt. Lincoln and maybe even Mt. Bross. You’ve likely seen this iconic attraction, even if you’ve spent just a few short hours in Denver. Elitch Gardens is Colorado’s only world-class combination theme and water park, featuring thrilling roller coasters, pint-sized adventures for little ones, special events and a splashin’ water park. With locations all across the country, Bad Axe Throwing is the world’s biggest urban axe throwing club. Take part in this exhilarating Canadian backyard pastime at Bad Axe Throwing just north of Denver in Welby. They now serve beer and wine, so make sure you are axe throwing responsibly! Operating at the same location at I-70 and Sheridan along a picturesque lake, Lakeside Amusement Park is the last private amusement park in Denver and one of the oldest amusement parks in the country. Step back in time at Lakeside, which still has plenty of fun for all ages, including trains, a merry-go round, a drop tower, bumper cars and a variety of spinning rides. Don’t worry — it’s not what you think. At Archery Games Denver, two teams battle it out with bows and foam-tipped arrows from opposite sides of the arena. The goal is to tag all opposing players with arrows to eliminate them from the game, just like you would in a traditional dodgeball game. Revert to the simpler days of childhood at the 1UP in LoDo or on Colfax, featuring classic arcade games, pinball machines, classic skee-ball and multiple sets of giant Jenga. Plus, order food and a cold beer while you play! 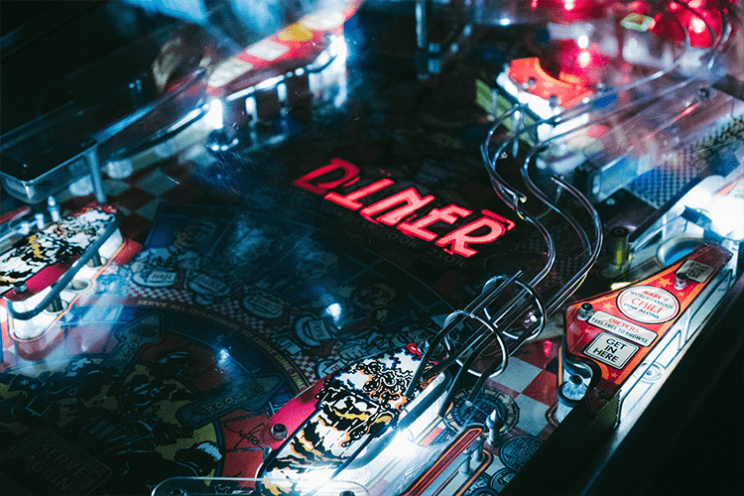 Boasting more than 90 classic arcade games and 42 pinball machines, the Colfax location boasts the largest collection of pinball machines in the metro area and one of the largest in the state. In the mood to go bowling? Play some arcade games? Grab a drink? Play shuffleboard? Sing karaoke? Eat dinner? Well, you can do all of the above — and more — at Punch Bowl Social, an exciting destination in Denver’s urban core. Formerly housing a general store, this 27,000-square-foot facility is filled with excitement, whether it’s time for brunch or a late-night drink. Not quite ready to jump out of a plane with a parachute? Get a similar exhilarating feeling experienced with skydiving by visiting iFLY — an indoor wind tunnel that will make your dreams of flight a reality. Take a break from all this activity with the 1995 American neo-noir crime film, “Things To Do In Denver When You’re Dead.” This oh-so-‘90s movie starring Andy Garcia is about ex-gangsters attempting to straighten up until they are confounded by their former boss. There is so much to do, see and taste at The Dairy Block, a historic block in the LoDo neighborhood. What once was the home for Windsor Dairy is now filled with trendy restaurants and bars, art studios, shops and more. Say what you want about 16th Street Mall, but you have to ride the shuttle at least once. This free bus takes you from one end of this pedestrian-only street to the other, offering plenty of people watching opportunities all the while. No Denver bucket list is complete without this one. Whether or not you partake, step into a dispensary and look around! This iconic bookstore is certainly worth a visit if you haven’t been already. 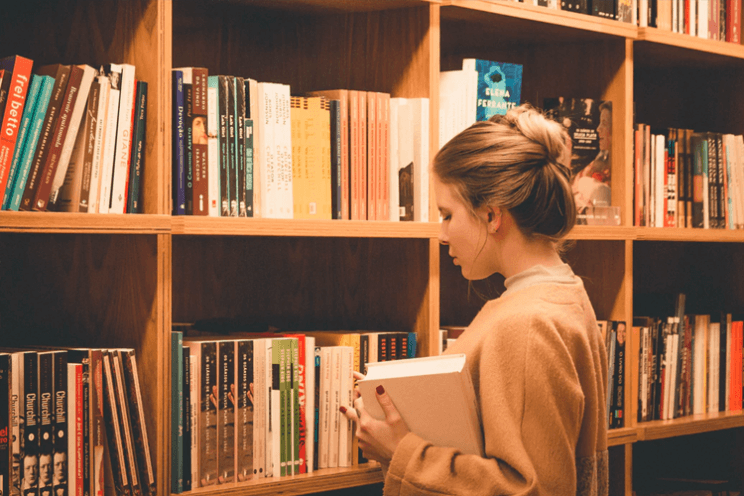 This locally owned indie bookstore has three expansive locations and four smaller satellite stores throughout the metro area. You’ll find just about any book in every genre in this cozy multi-story bookstore. Following the Denver Ear is one of the best ways to stay informed on Denver happenings, including upcoming events, new hotspots, and other local insight. Discover new things to add to your growing bucket list by subscribing to The Denver Ear! And while you’re at it, follow us on Instagram, Facebook and Twitter. Cherry Creek Shopping Center is an upscale collection of retail shops, restaurants, coffee shops, bars and art galleries. This outdoor lifestyle center is certainly worth exploring, whether you’re searching for gifts, home decor, a bite to eat or drink, or you simply want to window shop. Denver has a renowned yoga community, and of course, marijuana is part of Colorado’s culture as well. Bring the two together in the ultimate relaxed environment — weed yoga. 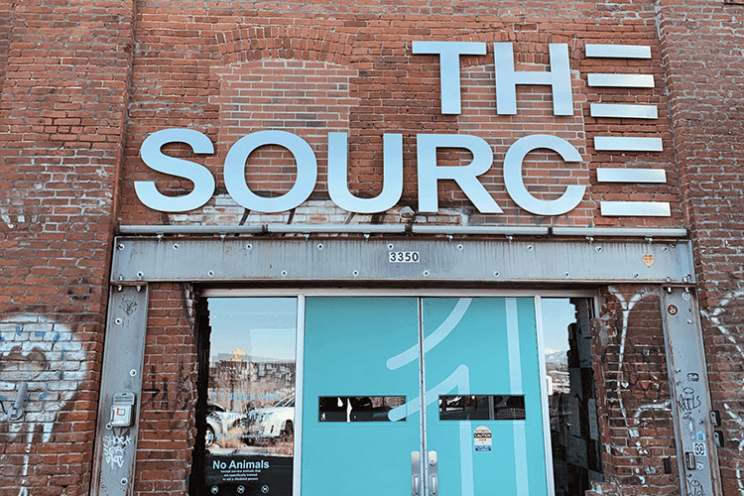 The Source is a collection of independent retail shops and restaurants in the RiNo District, accompanied by a brand new hotel with 100 design-forward rooms. The Source is home to 25 artisan vendors, including a bakery, a taqueria, a modern wood-fired restaurant, a sour brewery, a barber, an art gallery, a kitchen goods store, an apparel shop, a florist, and a barbecue joint. Considered one of the most charming streets in the city, Larimer Square is lined with a number of local boutiques, wine bars and restaurants, all housed in historic brick buildings. In fact, the historic element of Larimer Square is strong, as it is where Denver was founded in 1858. Step into a time machine headed to the ‘80s with a visit to Fifty-Two ‘80s, a vintage shop filled with everything pop culture, collectables, toys, and various memorabilia from the ‘80s. While you’re there, pop inside Regal Vintage next door for more vintage goodness. Enjoy stunning scenery onboard an age-old yet often-forgotten mode of transportation. The California Zephyr Train travels between Chicago and San Francisco daily, passing by some of the most beautiful scenes in North America. Opt for the long trip to California or Illinois, or simply hitch a ride to Glenwood Springs, where you can soak in hot pools or raft the Colorado River. Discover more about the rich history of the United States Mint and the process of producing billions of coins of an annual basis. The Denver Mint offers free guided tours of the facility housed in an historic building, which is one of Colorado’s oldest institutions. What activities are you adding to your list? Which of these bucket list items are you the most excited about? Let us know in the comments! And, once you complete the task — take a photo and tag us at @thedenverear on Instagram! For a chance to be featured, use the hashtag #thedenverear.